So much has changed at Cocos Island over the last 20 years, and so much has remained the same. The small, three room park station remains standing; add on facilities has tripled the size of the structure. Generous donations have equipped the park guards with a few computers and Internet capabilities. The hydroelectric power of one of the Chatam Bay streams powers the volunteer efforts. White terns, or “holy spirit terns” are once again beginning their nesting process. After choosing a mate each pair is seen fluttering around the island in their own choreographed flight pattern. Set against the sheer cliffs of Cocos Island, this performance is truly breathtaking. Underwater Cocos remains one of the final refuges for sharks and other marine megafauna. During a single 60-minute dive, visitors are likely to find white tip sharks, marble rays, schooling scalloped hammerheads, immense schools of jacks and many other impressive underwater inhabitants. Unfortunately miles of fishing line can also be seen choking the underwater rock substrate; theses lines are punctuated by large hooks and often decaying sharks and other park inhabitants. Diligent efforts continue to stop the constant poaching that plague the island. Despite all advances and generous donations of boats, radios and other tools, a poaching truce within the park borders still seems out of reach. There are two fundamental problems contributing to this situation. 1. Costa Rican law mandates a 24-hour window in which official papers must be filed, in person for any poaching infraction. Logistically this is impossible since the crossing takes 36 hours. 2. 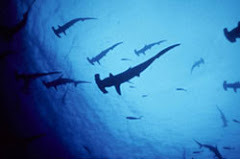 Funding for Cocos Island is run through a complicated series of government entities nested in the Costa Rican government. A very small percentage of donated money actually reach in situ park personnel. A broken propeller today, will render a boat unusable. A requisition for a new part may take weeks and often months. During this period, the boat sits and the poachers are unrivaled. Both of these points can be easily changed. We are now working on solutions. Suggestions are welcome and encouraged. 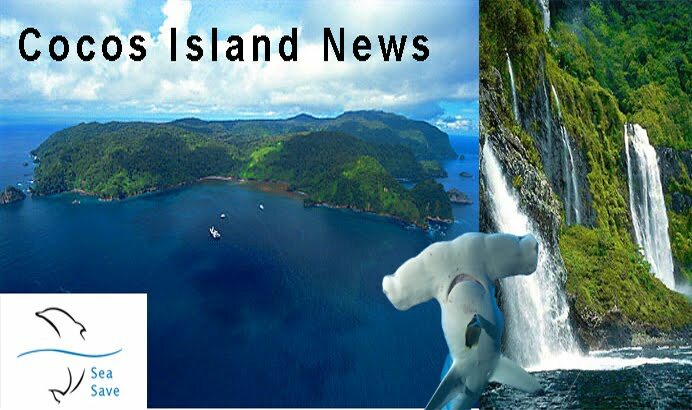 Stay tuned over the next few days for Cocos Island updates. Thanks for this update - and for all you are doing to save our oceans! Please keep it up. It is great to know that people all over the world are doing their bit. If we add all the bits together, a lot can be done! Often it's not big sums of money that help; rather, people getting involved on an individual basis. Please keep us updated!